Welcome to this Blog, the inaugural blog! The word ‘blog’ I understand has its origin from two simple words, ‘web’ and ‘log’, when IT programmers were maintaining their logs on the worldwide web. Today, we have all become familiar with the word ‘blog’ and have become bloggers! For men of my generation, the word ‘web’ was only associated with spiders and the designs they spun, so magically. I don’t know how many of today’s generation have walked through a forest and seen a spider’s web early in the morning. A perfect web. Spread across a couple of shrubs or the branches of a tree. A web that is forbidding, in its own way. Like a gateway that is closed. Sometimes one would see the morning dew caught in the web, droplets that would seem to be trapped in a web so natural, so amazing. 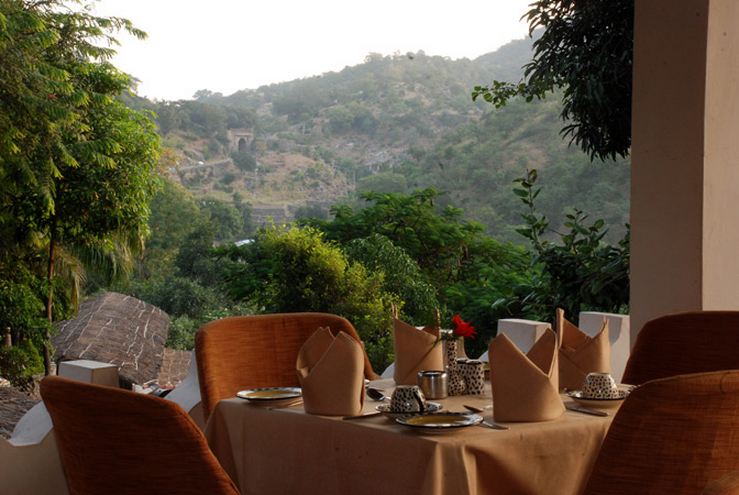 I have many memories of days and nights spent in forest sanctuaries around Udaipur. Most were in the company of cousins and uncles who were great company and whose stories about tiger and leopard-spotting were thrilling, complete with anecdotes that were well-spiced with fact and fiction that only the dearest uncles are capable of! I could narrate many of those tales from the days I spent living in Shikarbadi which is surrounded by hills and forest-land; or Khaas Aodhi, the forest area across Lake Pichola where we would be ferried across. I remember those days with a lot of fondness and whenever I get a chance to meet the old uncles and cousins, we share these memories and have such a laugh over who did what and who stumbled where! But here we are today, so familiar with this web, the web which has cast its net worldwide and caught us in all its designs. Certainly this new web has given us greater freedom to know, to be informed and to be able to remain connected across geographies and time. We salute these new technologies that are making us blog. Personally, I am fairly excited about new technologies and cannot do without my iPhone and iPad today. The world of IT has given us many pleasures and conveniences. But one cannot forget those days and those times spent negotiating forest clearings and getting to see nature’s webs and designs on sunny mornings or in the late afternoons when the forests are alive in their own special way. Technology, I feel, should give us greater freedom in the real world and should not restrict us to the virtual world. And that brings me to the second word, ‘log’. Again, how many of today’s generation know the warmth of a burning log? A neatly cut log ready for the fire-place in the drawing-room or a bonfire outside on the terrace. I am very fond of sitting by the fire in the company of friends and being in high spirits! The stories and jokes that are shared, the food that is cooked and eaten together: there can be no greater joy in life. Winters in Udaipur and across Rajasthan are quite severe and the warmth of a well-lit fire is one of the greatest comforts you can get. One of my favourite places is the main courtyard of the Gajner Palace in Gajner; it has old trees around it and we usually sit in the deep arm-chairs with a raging fire in the middle of the courtyard. 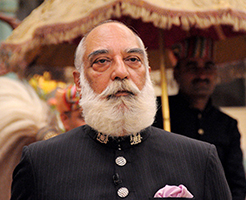 Since my childhood, I have spent many memorable evenings in Gajner and it is one of my favourite palaces. Let me tell you that lighting a bonfire is a skill in itself, not anyone can do it. Many make a mess of the logs, big and small, and end up with more smoke than fire! This has been my association over the years with logs. I hope that for the readers of these blogs, they would be blessed with the warmth of ‘real’ fires and ‘real’ friends. For both these blessings one has to take the effort of reaching out and being there for the friends and the family. This is one of the many lessons I have learnt in my life. I hope that in the days to come I will share more with my readers, my blogger-friends, and share the warmth of this blog-fire between us.